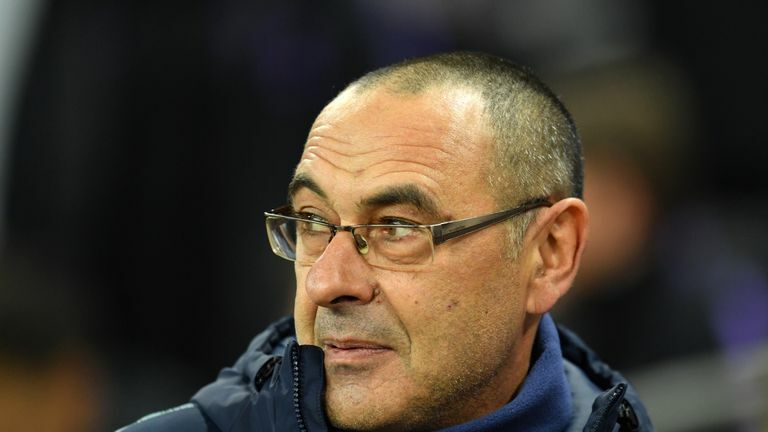 Fulham manager Claudio Ranieri has praised Maurizio Sarri's start to life at Chelsea before their west-London derby on Sunday. Fulham manager Claudio Ranieri has praised Maurizio Sarri’s start to life at Chelsea before their west-London derby on Sunday. Fulham boss Claudio Ranieri thinks his Chelsea counterpart Maurizio Sarri is a top coach who deserves to be at a big Premier League club. The Italian duo will lock horns at Stamford Bridge on Sunday – as part of Derby Day on Sky Sports – and the two bosses rate each other highly. A young Sarri visited Ranieri during the latter’s time at Fiorentina back in the 90s – and then played host last month, when Ranieri popped in to the Chelsea training ground, before he took the Fulham job.